This year Kashmir witnessed one of its bloodiest uprisings in which over 110 people were killed, most of them students. Every society has torch bearers who show the light and help us overcome immense sorrow. 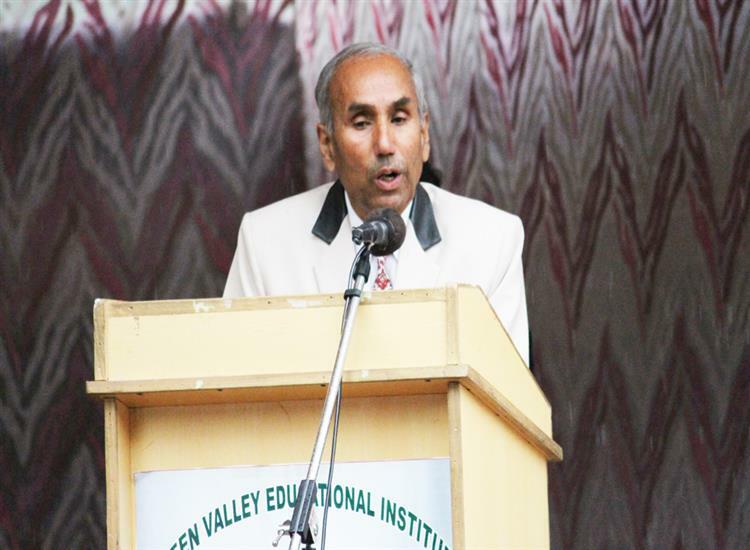 G N Aali, prominent Educationist and principal of Green Valley Educational Institute, is one such example. Here is the full text of the letter he sent to his staff. I feel happy to talk to you after such a prolonged hiatus and a lengthy, painful enforced separation, entirely beyond our control. I hope and pray that every one of you, your families and your near and dear ones, are safe. Friends! I solicit and invite your kind attention here, towards our dear students. I want you to just ponder for a while and think what a hell of a situation this generation has faced and experienced, how traumatic circumstances they have passed through and what a maddening scenario these toddlers and teenagers were exposed to. Just think how all this must have impacted their psyche. Horrible! Indeed! These young boys and girls have seen gory mayhem just outside their homes and in their surroundings. These innocent children have been eye witnesses to blinding of cute, innocent kids. Something unprecedented, something unimaginable and the horrendous scenes may have got etched on their memory slates and the horrible scenes may haunt them like a nightmare throughout their life. Violence, firings, shootings, shelling, beatings, torture, mayhem, death and destruction that they may have seen with their naked eyes, happening just nearby, must surely have bruised their psyche, which is sure to get reflected and expressed in their behaviour and conduct, while at school. You may find them behaving differently, may be not normally. There lies the challenge for every one of us. We have to show unprecedented patience while dealing with these innocent bruised souls. You might find their behaviour irritating, at times, even unbearable but you need to display tremendous maturity and skill in handling situations and tackling these students. They would need an extra dose of love, care, cooperation, accommodation and sometimes even magnanimity on your part. Kindly give them, they deserve that. These tiny toddlers and teenagers are back at school after, as if, serving a prolonged term of incarceration – a term of virtual “house-arrest” for their uncommitted sins and for no fault of theirs. They suffered for their “accident of birth” at a wrong place and time. For God’s sake, have compassion and sympathy for them, shower love and affection upon them; deal patiently and affectionately with them and bear with them. They may show anger and frustration. Handle them softly, patiently, politely and affectionately. They will take some time to cool down and settle down and Insha Allah, they will be back on track, in due course of time. I hope you realise the gravity of the situation, think and act accordingly.